Tissue wipes are soft, gentle, not to hurt the skin, even the delicate skin. 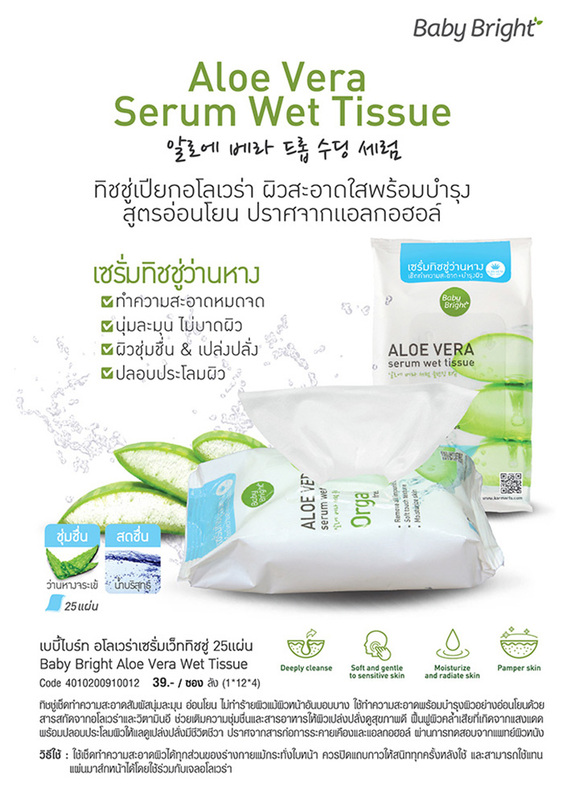 Gentle cleansing and nourishing with Aloe Vera and Vitamin E extract. Helps moisturize and nourish the skin to look healthy. Rejuvenate sun-damaged skin. The skin is soothed and refreshed. Free of irritation and alcohol. To use: Wipe off all parts of the body, even the face. The adhesive should be closed at all times after use. The mask can be used in conjunction with gel Aloe Vera.